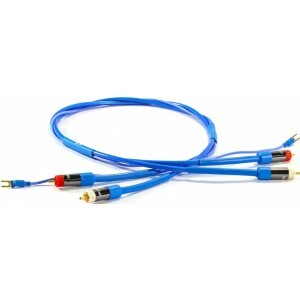 The Opera tone arm cable utilises the brand's innovative cryogenic treatment to enhance your vinyl recordings with added and improved depth, clarity and timing. Earn 769 loyalty points when you order this item. Black Rhodium Opera DCT++ CS Tonearm Cable allows you to immerse yourself in the detail of your favourite vinyl records. Thanks to its deep cryogenic treatment depth, clarity and timing of the music are dramatically improved. The Opera utilises 99.99% 0.5mm² pure silver solid conductor wires to aid conductivity and enhance the purity of sound over mid-high frequencies, particularly on higher calibre systems. The Opera delivers a fast and crystal clear beat, free from abrasions, thanks to its high-quality PTFE insulation and the brand's unique post production process. It's silver plated braided copper screen eliminates RFI interference and reduces background noise. A unique low microphonic noise layer ensures a more organic sound performance as the impact of vibrations from loudspeakers the cabling is minimised. Alongside this, the quality control of the wire direction during the production process, ensures superb stereo imaging and reduced background noise. The Opera showcases the famed Eichmann Bullet Plugs, which thanks to their 24k gold plating and single point return contact improves the transparency of sound. The cable is brilliantly easy to use, while being visually pleasing, thanks to the application of directional heat shrinks to bold blue sheath.